In A Mighty Heart an astonishingly courageous woman tells the terrifying and unforgettable story of her husband's life and death. For five weeks, the world watched and worried about Danny Pearl, a reporter for The Wall Street Journal, kidnapped in Karachi, Pakistan. And then came the news of his shocking and brutal murder. Danny's reasons for being in Karachi, the complete story of his abduction, and the intense effort to find him are told here for the first time. Mariane and Danny Pearl were working in South Asia because they believed that good reporting is essential to our understanding of the complexity of regional politics and religions. They knew the risks inherent in the life they chose and took conscientious precautions. 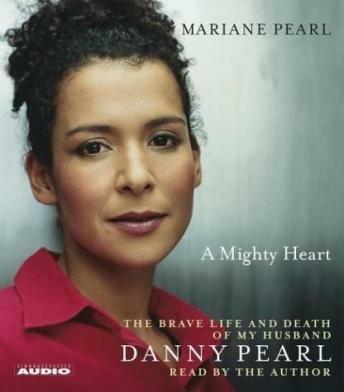 There are many mighty hearts in the Pearl story, many brave people who helped Mariane in her search for her abducted husband. This account is riveting, illuminating, and heart-breaking. We learn about the terrorists' methods, ideologies, and ruthless violence. As soon as Pearl was discovered missing, a global effort began to locate him and identify his captors -- a race against the clock that spanned the dangerous fissures of culture and politics and language that separate Islamic terrorists and America. Only one person can tell this story: Danny Pearl's wife, Mariane, for it is she who initiated and helped direct the urgent search for her husband and she who can paint a moving portrait of a marriage built on the ideals of truth, justice, and love.